Yet these are strange days, where Arsenal supporters are divided and more likely to wage war on each other rather than a Tottenham supporter. Spirits are up in South London as Sam Allardyce weaves his magic at Palace, and it’s tense times in Chelsea, seeking to hang onto the title. West Ham fans may miss Upton Park but at least Westfield Stratford is next door, so they can shop away their sorrows after their late season slump. Among this heaving, pulsating city of 20 million people, there is one thing that unites us all – football. From the other side of the world, let’s dissect the happenings from the greatest football league in the world. 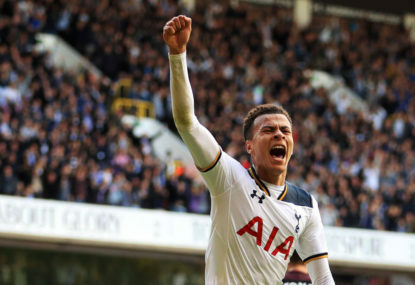 Tottenham closed the gap to four points after Manchester United put away an insipid Chelsea outfit. 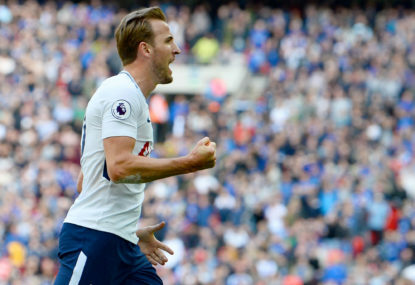 After looking like they would run away with the title a month ago, losses to Swansea and United coupled with seven consecutive wins for Tottenham have meant that a seemingly unassailable ten-point lead has been narrowed to four points. Chelsea are still favourites to win the title but they will be pushed hard by a Spurs outfit desperate to atone for last season’s failings. Jose Mourinho likes to stop teams playing and uses that as the springboard for success. 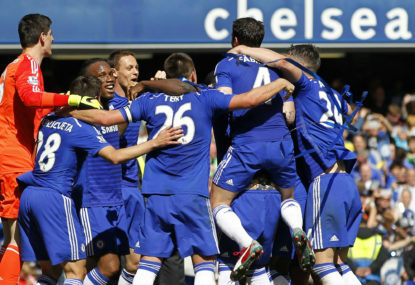 The win over Chelsea was no exception, with Mourinho providing a blueprint, albeit a late one, on how to nullify Chelsea. The central pairing controlled a surprisingly passive Diego Costa, and the wide defenders kept Chelsea’s danger men in check. Anders Herrera marked Eden Hazard all day, keping his influence to a minimum. Kurt Zouma failed to provide an attacking impetus that his wing back position warrants. But credit must go to United, who were happy to mostly play on the counter, forcing Chelsea to play on the front foot – something that the Blues clearly struggled with. No one could say that this was not on the cards. After completing relegation escapes in consecutive seasons, the Black Cats’ woes eventually came home to roost. Perhaps their most significant moment came in the off-season, when Allardyce was poached to take on the England job. Nine points from safety with just six games to play, there will be no great escape this season, and Sunderland need to start preparing for life in the Championship. To rub salt in their wounds, Tyneside rivals Newcastle United look likely to gain promotion back into the EPL. Quico Flores did an admirable job coaching Watford and they spent much of last season in the top half of the table, before injuries and a lack of squad depth eventually took its toll on a side that played sumptuous football for the first half of the season. Ultimately, he resigned and Watford signed Walter Mazzarri. Another top-half finish beckons, yet there are murmurings of the gaffer losing his job. Mazzarri should be applauded for taking his squad to a potential top-half finish. Just in case we had forgotten, Vincent Kompany reminded of us his credentials as Man City took a step forward in their quest for a Champions League qualification berth, with a 3-0 win at Southampton. Kompany scored the first goal of the game from a corner, showing great desire and determination to get his head on the ball. His organisation and leadership have also been sorely missed. At 35, his days are numbered, but we should treasure these performances while we still can. While Dele Alli dominates the headlines, some would argue that Christian Eriksen is the heartbeat of Spurs’ midfield. He is the conductor of the orchestra. In attack, he comes deep to receive the ball and – like his predecessor, Luka Modric – sets the tempo for the midfield with his precise passing. He is ranked second in the league for assists (18) and regularly gets on the scoresheet, with 11 goals. Without the ball he is always aware, presses well and tracks back to help out. It is no wonder that Tottenham’s best run of the season has coincided with Eriksen’s best run of form. You may not like his methods or his level of integrity, but Big Sam Allardyce knows how to get the job done. Crystal Palace in the relegation zone and their defence was leakier than the Titanic’s hull when he took over. It took some time to implement his methods, but with five wins and a draw from their last seven, Palace will extend their stay in the EPL for another season. Both he and his contemporary Tony Pulis divide opinion, but if you want to survive and remain in the EPL, you can’t look past these two. Arsenal are still long odds to break into the top, but an away win over Middlesborough was a welcome result after a dismal month. Using a new look 3-4-3 formation, the Gunners did enough to claim the points. 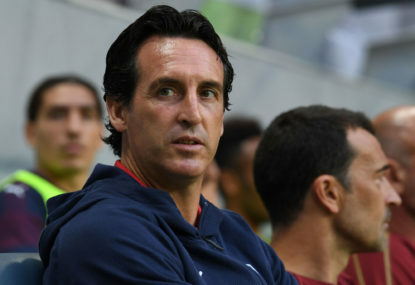 The run of 19 consecutive seasons of Champions League qualifications looks to be coming to end, but there is still a glimmer of hope for Arsene Wenger’s beleaguered outfit. Raheem Stirling thought he had put his side into the semifinals, but the 4-all aggregate score was enough to send Tottenham through. 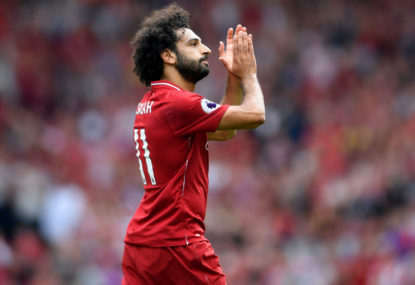 Liverpool sits atop the Premier League table after Chelsea scored a tenacious 2-0 victory against Manchester City at Stamford Bridge. 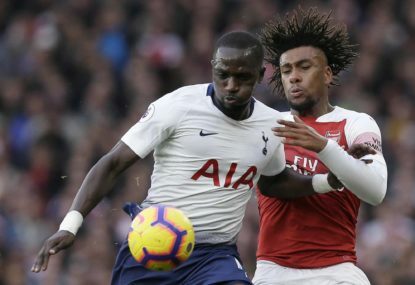 After signing for the Lilywhites in 2016 for £30 Million from Newcastle United, Moussa Sissoko failed to impress for Spurs. 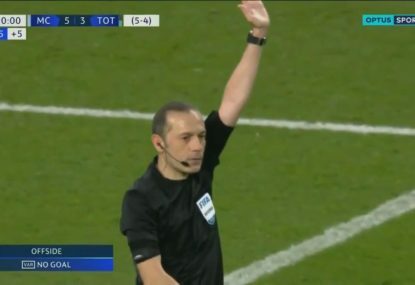 Tottenham Hotspur have wiped the floor with previously undefeated Chelsea, administering a 3-1 thrashing at Wembley Stadium.